This website is owned and managed by H & H Lawns at 17907 Storage Rd, Omaha, NE 68136. 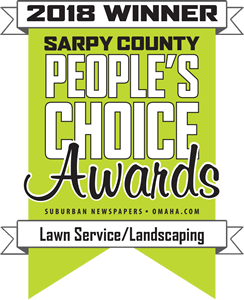 We can be reached via email at notice@hhlawns.com or you can reach us by phone at 402-916-9500. For each visitor to our website, our server automatically recognizes only the consumer’s domain name however we may require you to provide us with certain personally identifiable information, including but not limited to your name, phone number, postal address, website activity, ip address and cookie identifiers. We collect the email addresses of those who communicate with us via email, aggregate information on pages consumers access, information volunteered by the consumers such as surveys or registrations to signups. The information we collect is used to improve the content of our website and is used by H & H Lawns to contact consumers for marketing purposes. When visitors come to H & H Lawns, third parties may place cookies on your browsers for targeting advertising purposes. If you do not wish to receive targeted advertising, please email us directly at notice@hhlawns.com.